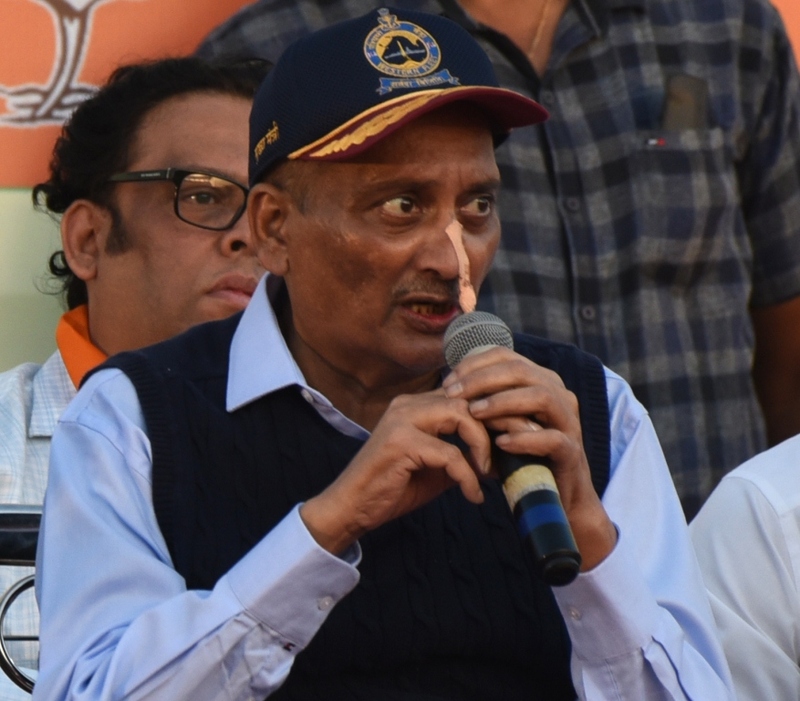 Chief Minister Manohar Parrikar (63) breathed his last at his private Dona Paula residence on Sunday evening after a year-long battle with pancreatic cancer, plunging the State into a political crisis of sorts with the ruling coalition still at sea over choosing an alternative. Parrikar’s condition turned “extremely critical” on Sunday evening, his office tweeted while saying that “doctors were trying their best.” Crowds of supporters, BJP MLAs, leaders teemed around his private residence at Dona Paula no sooner the news of his passing away broke and condolence messages poured in through various social media modes. President of India Ramnath Kovind was the first national leader to acknowledge the passing away of Parrikar at 7.59 pm when he tweeted: “Extremely sorry to hear of the passing of Shri Manohar Parrikar, Chief Minister of Goa, after an illness borne with fortitude and dignity. An epitome of integrity and dedication in public life, his service to the people of Goan and of India will not be forgotten #PresidentKovind. Within an hour of the president’s tweet, #ManoharParrikar was trending on Twitter with Prime Minister Narendra Modi, several of his cabinet colleagues, BJP leaders from across the country, political leaders from other parties, chief ministers, expressing their condolences on the social media site. Meanwhile, the mortal remains of Parrikar will be cremated on Monday evening at 5 pm at the Sports Authority of Goa grounds in Campal. His mortal remains will earlier be kept at the BJP headquarters and Kala Academy in the morning and afternoon for the public to pay respects, an official statement said. The Central Home Ministry has also declared ‘national mourning’ on Monday and a state funeral will be accorded to him. BJP sources said, top leaders including Modi and BJP president, Amit Shah, are expected to attend Parrikar’s funeral on Monday. Goan origin singing sensation Lata Mangueshkar was among the first to tweet her condolences. Congress president Rahul Gandhi said: “I am deeply saddened by the news of the passing of Goa CM, Shri Manohar Parrikar Ji, who bravely battled a debilitating illness for over a year. Respected and admired across party lines, he was one of Goa’s favourite sons. My condolences to his family in this time of grief.” tweeted Congress President Rahul Gandhi. Parrikar was diagnosed with pancreatic cancer in February 2018 less than a year after he quit as Defence Minister to take over as Chief Minister of Goa after the 2017 assembly elections. A widower (his wife Medha fell victim also to cancer in 2001), Parrikar is survived by his two sons, Utpal and Abhijat, their wives and a grandson. All government officces, local and autonomous bodies, public sector undertakings, all educational institutions will remain closed on March 18 as mark of respect for Parrikar. The Goa Board of Secondary and Higher Secondary Examinations (GBSHSE) has also postponed Monday’s HSSC exam in Banking, Computer Science, Logic and Co-operation due to the demise of Chief Minister Manohar Parrikar. The new date of examination is March 27, the Board said.